This blog has long pointed out the bias and poor quality that is so often found in GLBT news outlets. 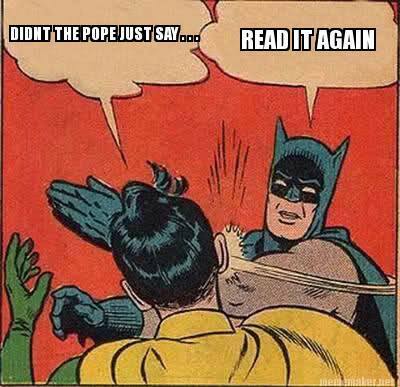 The reporting of recent comments from the Pope have resulted in even more examples. Interestingly though, there are signs that even the gays are tired of the spin. Meanwhile, indicators on the page show that over 2000 people have recommended the article on facebook. Queerty subsequently posted another article that took a very negative tone overall on the same story.